Luke Kuechly of the Carolina Panthers is one of the National Football League (NFL)'s hardest-hitting defenders. The star linebacker led the NFL with 164 tackles in 2012, his first season in the league. He hasn't slowed down since. In 2013 he earned the NFL Defensive Player of the Year award. And in 2016 he helped the Panthers reach Super Bowl 50. 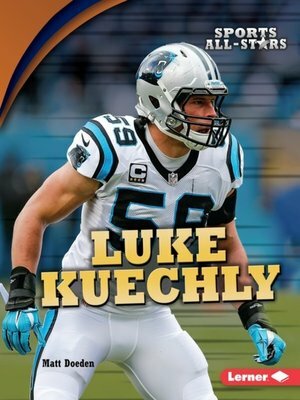 Learn all about Kuechly's path to the NFL, how he stays healthy and fit, how he prepares for games, what he does for fun, and much more.